I’m not asking much for this Christmas. Just an iPad. I waant an iPad soooo baaaad, to keep me company whenever I drink my favorite latte over at Starbucks. Charrr!!! HAHA. I don’t know what happened but this morning I woke up with a sudden strong desire to own an iPAD. Yesss! 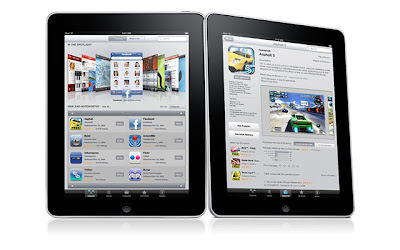 I want a brand new spanking iPad just because everyone else has it already LOL. I want an iPad and an iphone too! To he*l with poverty! All I have ’til now is an iPOD shuffle hahaha I got for free (from chuvachienes). Dear Lord! Let the price drop to at least 40-50% so I can afford it. Thank you!